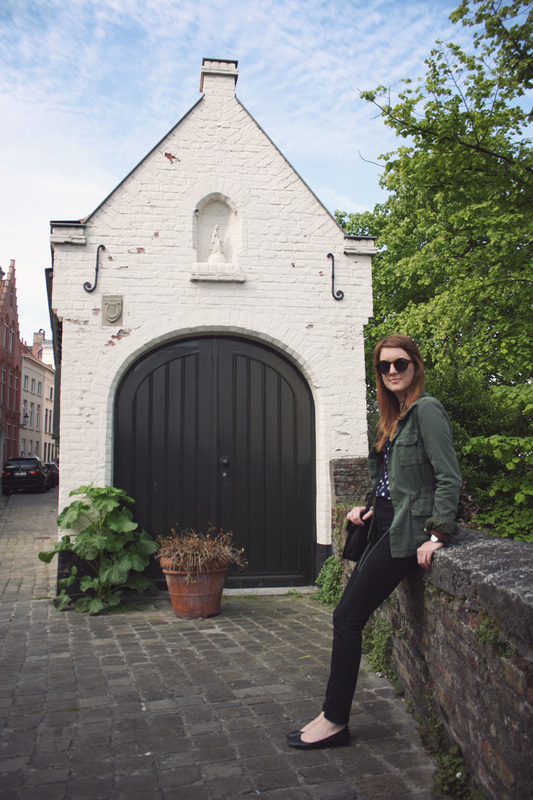 The next stop on our travels was the lovely Belgian city of Bruges. I have to admit I would have never heard of the city if not for the movie In Bruges. What a strange introduction to the city. I have to say it certainly lived up to all of our expectations. To say that the city is charming is such an understatement. Every corner we turned solicited "oohhhs" and "aahhhs" and felt more like stepping back in time than any other place I've ever set foot. Our hotel room (we were mysteriously upgraded to the "chocolate suite") was located right on the canal and we could open our window to see the ducks swimming by. The streets were swamped with tourist during the afternoon, but we awoke early enough that the city was virtually empty and we had the Markt all to ourselves. If you ever get the chance to eat a fresh Belgian waffle from a street vendor, do so right away! I got mine "met chocolade". SO good. Thos pictures really portait Bruges very well... the vibe, the atmosphere... great job! Oh, we should have met! Glad you had a lovely time there! Beautiful! I have been intrigued by Bruges ever since the movie. Also, that photo of you sitting in the window is gorgeous, but it terrifies me!!! Gorgeous photos! Bruges is one of my favorite towns in Europe. Would you mind passing on the name of the hotel you stayed in? I really want to go back but the hotel I stayed in before wasn't really nice. this place is so so beautiful! i love that shot of you in the window. You are so brave!! i'd be terrified to sit on there! I grew up in Belgium, but have been in California for the past 9 years... needless to say it's not home. This makes me very homesick, however it is so nice to finally see someone get a luikse wafel!!! Those brusselse wafels (what they call belgian waffles in the states) are the typical tourist thing to get.